Just got this via email. 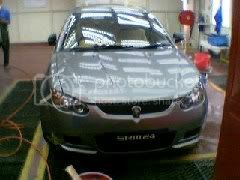 Here are two snapshots of the new Proton SRM (Satria Replacement Model) which is due to launch this year. 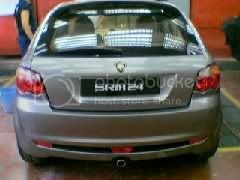 I think it looks great although I question the central muffler ala Mini Cooper.